January 24, 2019 at 3:17 pm. 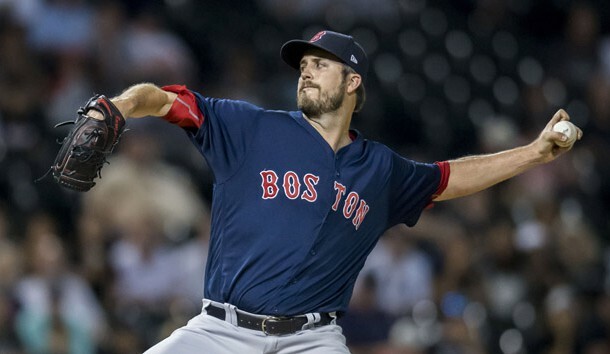 The San Francisco Giants agreed to a one-year deal with free agent left-handed pitcher Drew Pomeranz. Pomeranz, 30, spent the last two-and-a-half seasons with the Boston Red Sox. He struggled last season with a 2-6 record and a 6.08 ERA in 74 innings pitched. In 2017, went 17-6 with 174 strikeouts and a 3.32 ERA in 173.2 innings pitched. His 17 wins were a career-high. According to MLB.com, Pomeranz will receive a $1.5 base pay in 2019. He could make up to $5 million if all incentives are met.